I've never been able to see how I could not, especially that there is so much to be grateful for in this life. Plus we are all getting older at exactly the same rate. It's just up to us to decide how youthful we choose to feel and I choose to feel pretty damn youthful! 33 is also significant in numerology, where it represents the Master Teacher. As well as that this 2017 year is the 1 Universal Year (be ready to have your mind blown if you're still not familiar with what that means>>). So I put it all together and for the first birthday in as long as I can possibly remember, today I choose to take the day off! 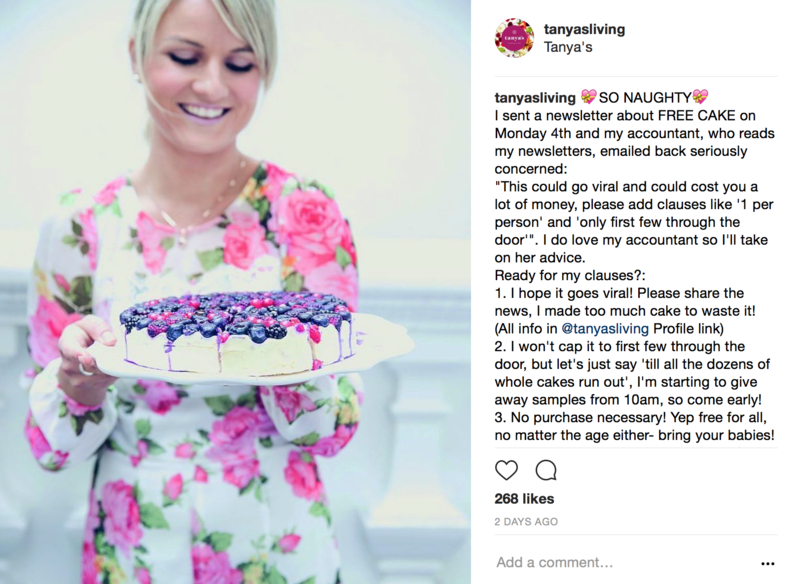 Now you may be wondering how it's a day off when I'm here at Tanya's giving out FREE CAKE all day, but let's be honest- you can hardly call that work! The real break for me happens because I'm not on my emails or monitoring an annual birthday sale (sorry guys, you'll have to wait till Xmas! ), instead I'm sitting here in a total day dream full of blissful thoughts that are devoted to my daughter. 1.May you love birthdays. May you adore celebrating the special people in your life and especially, especially you. No matter the number of candles on your cake. 2.May you make big bold wishes. Many of them. And not just on your birthday. 3.May you daydream, make vision boards, keep a diary, write gratitude lists, keep promises, play with your food, pray, meditate, recite affirmations, believe in miracles and in love at first sight. 4.May you be quick to make a decision. And may you be gentle on yourself if it doesn't turn out to be the best one. 5.May you not be afraid of change. May you embrace it and celebrate it! 6.May you travel the world and feel at home no matter where you go. And may you view each day through a tourist's eye even in your home town. 7.May you phone your parents, your siblings and your grandparents any chance you get. May you always look for that chance. 8.May you look in the mirror and see a Goddess, a Lioness, a kind gentle non-judgemental soul. May you never look in the mirror wishing for a different reflection. 9.May you love life in bikinis. And out of bikinis. 10.May you eat dessert first. 11.May you adore eating a rainbow of plants. Not just because your mama told you but because you've done your research and you love your body and it just makes you feel so damn good. Eat to feel good. Every. Single. Time. 12.May you fall in love so insanely outrageously deep, that your bones zap with electricity seeing them across the room, your body hurts from tingles hearing their name, your knees wobble catching their gaze, you don't hear a word of the film on your date, because your heart is beating too loudly, you'd rather your arm fall off than untangle your fingers from theirs, time does not exist and nothing is as important as staying up all night starring at the sky together. 13.May you always be loved in return. 14.May you give genuine compliments, pray for others, share your light, smile at strangers, know the power of intention and celebrate victories of others. 15.May you attract all the luck in the world. May you realise how you've done it and may you teach others to do the same. 16.May you relish in the thrill of jumping out of aeroplanes, flying down ski slopes, diving into oceans, sitting in the front seat of a roller coaster and bouncing on trampolines. 17.May you also get great satisfaction in discovering stillness, the magic of a quiet place, the comfort of your own company. And may you know a love so pure and true, that sitting side by side in silence for hours doesn't feel like hours at all. It just feels like home. 18.May you love to meditate but not necessary in a lotus position, rather in your own way. May you find that way early on. 19.May you find yourself outdoors, breathing in moonlight and dancing under the stars. May you find yourself there often. 20.May you chase the sun and may it chase you. 21.May you find your hair salty at all times of the year, may your skin forever stay golden and vacation vibes fill your heart every day. 23.May you know how to say sorry first. 25.May you say yes often and know when to say no. May you do both with confidence, knowing your self-worth. 26.May you know your guardian angels by their names. 27.May you always be safe. And always feel free. 28.May you never take anything personally. Or for granted. 29.May you work hard. Especially on your happiness and on creating your own luck. May everything come to you with ease. 30.May you enjoy arts and crafts, or baking, face painting, cake decorating, singing, playing an instrument, DIY, photography, balloon sculpting, dancing, drawing, clay moulding, writing, poetry, or anything and everything that keeps your creative side of the brain busy. And may you never feel criticised for your art. Never ever. 31.May you be the most positive person you know. 32.May you know Tony Robbins, Oprah Winfrey, Erik Clapton, Mother Teresa, Shakespeare (William, not your Tortoise, but your Tortoise too! ), Johnny Cash, Princess Diana, Tolstoy and Dostoyevsky, Michael Jackson, Einstein, Eminem, The Dalai Lama, Sade and Deepak Chopra.